Aviation Updates Philippines - Low cost carrier, Cebu Pacific Air, sent off their very first flight to Sydney, Australia on September 9. This marks the start of its long-haul service in Australia. 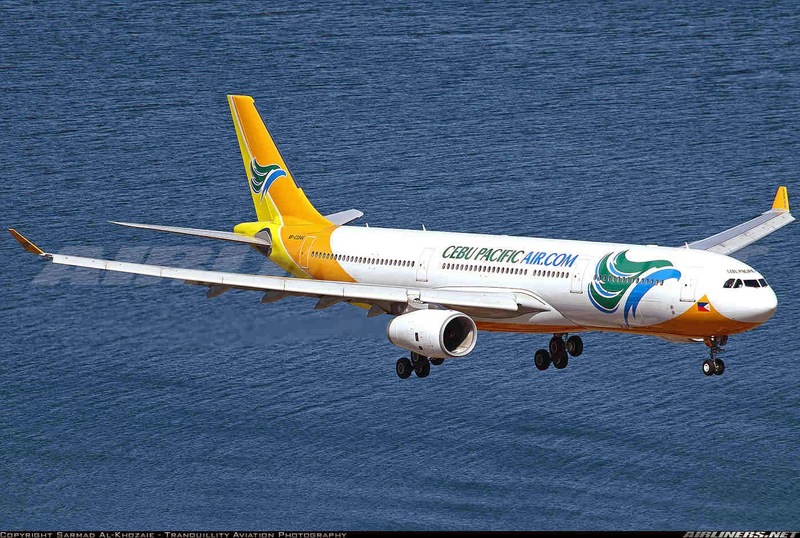 Cebu Pacific Air is the only low-cost carrier operating the route between Manila and Sydney. Besides the airline, Philippine Airlines and the Sydney-based Qantas are currently operating this long haul route. The Gokongwei-led airline operates four weekly flights between Manila and Sydney, every Tuesday, Thursday, Saturday and Sunday. The flight departs Manila at 12:15am and arrives in Sydney at 10:05am. The return flight departs Sydney at 11:35am and arrives in Manila at 5:30pm. Meanwhile, an additional Wednesday frequency will commence on December 10, 2014, to accommodate travel demand from the growing Filipino community in Australia. There are approximately 300,000 Filipinos which are based in Australia, according to the Commission on Filipino Overseas. "This maiden flight to Australia allows us to share our brand of fun, and provide connections and low fares, to another part of the globe. In our short history, we have stimulated travel in Asia and in the Middle East. Eighteen years after the airline's inception, Cebu Pacific, a proud Philippine carrier, will land in the Australia-Oceania region, and work towards doing the same," Lance Gokongwei said during the send off program. "We have long believed that the Philippines can rival the beaches of Bali and Phuket. Now, with Cebu Pacific's launch, there is an affordable option for fun-loving Australians to discover this for themselves," Gokongwei added. He also said that the airline hopes to stimulate Australian travel to the Philippines. The flight was sent off by Lance Gokongwei, Australian Ambassador Bill Tweddell and Department of Tourism Secretary Ramon Jimenez Jr, among other esteemed guests. The airline's flights to Sydney utilize the airline's brand-new Airbus A330-300 fleet with a configuration of 436 all-economy class seats. Its 5th A330 aircraft was just delivered brand-new from the Airbus factory in Toulouse, France on September 2, 2014. Aside from Sydney, Cebu Pacific currently operates non-stop daily services between Manila and Dubai, and thrice weekly non-stop services between Manila and Kuwait. It is slated to launch new flights to Riyadh, Saudi Arabia on October 1, 2014, and to Dammam, Saudi Arabia on October 4, 2014 using the Airbus A330-300. CEB's 51-strong fleet is comprised of 10 Airbus A319, 28 Airbus A320, 5 Airbus A330 and 8 ATR-72 500 aircraft. It is one of the most modern aircraft fleets in the world. Between 2014 and 2021, Cebu Pacific will take delivery of 11 more brand-new Airbus A320, 30 Airbus A321neo, and 1 Airbus A330 aircraft.